Back in November, we sold our Pressler Drive house. The months since then have taken us through house after house until now, where we are just one week from closing on a farmhouse finally! It's felt like a long journey, but we are thankful we had a good place to stay and that we have been able to save up money in order to purchase our new house. At the time when we sold our house, we had our dreams set on buying a beautiful farmhouse owned by an Amish family we knew. We visited the house before listing our own house, and we fell in love with it, feeling for certain that selling our renovated home and buying this farmhouse was our next step in life. The Amish family had plans to buy a family farmhouse, and we had a spoken agreement with them about planning to buy their farmhouse. There were a lot of things to love about the farmhouse... the size of the house was perfect, the beautiful, old hardwood floors, the amazing barns, the large garden, the fruit trees, the old schoolhouse that was on the property that had been turned into a barn. There were four acres, and it was all well-cared for. We were excited! We listed our house, had an offer within two days, and everything moved forward smoothly in selling our house. 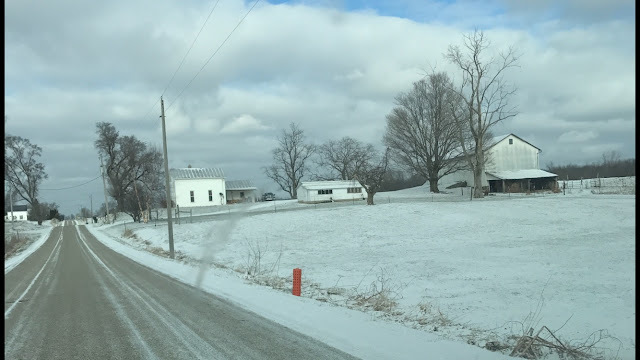 We knew the Amish family wouldn't be ready to move out of their house until spring, probably March, so we made plans to move in with Ben's family until then. A week after selling our house and moving out, the owner came up to Ben at work and said, "Hey, uh, we decided we're not going to sell our house after all." Heart stop. We sold our house because we planned to buy this house. Now we had no house. It was disappointing and a little worrisome, but we trusted that the Lord had a plan. He was involved in the selling of our house, and he would provide a new house. For whatever reason, the Amish House was not the house he intended for us. And there was another house we knew about, so we set our hopes on this other house. Our church has a room for nursing mothers, and one Sunday I was sitting in there and chatting with the lady next to me and came to learn that they had recently purchased 95 acres to build a house on. 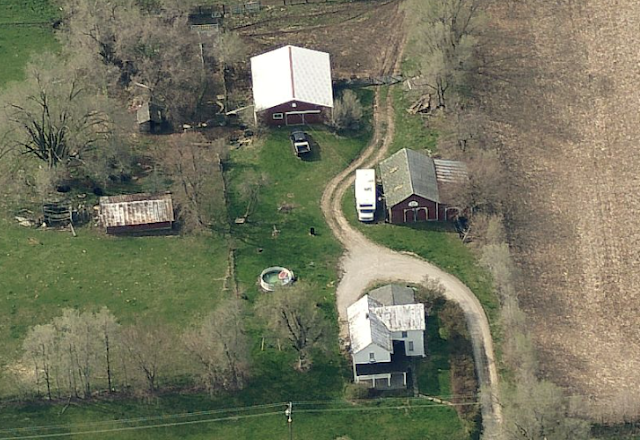 The acreage also had an old farmhouse and barns, though, which were being rented out at that time. This felt like too much of a coincidence to not at least inquire about. So, inquire we did. My friend told me that she would talk to her husband and let me know by the New Year. So, I prayed and prayed. I had never seen the inside of the house, but I loved the outside. It was actually my favorite farmhouse exterior of all the ones we looked at. It needed work, but it had so much potential. The property and location seemed perfect. There were barns. We continued looking at Zillow, but nothing was being listed, and my heart was really set on this house. So I prayed and prayed and prayed. The text came right around the New Year. They had decided not to sell the farmhouse and to continue renting the farmhouse. We were again back to no house prospects. To be honest, I really struggled to trust God at this point. I didn't like not having a plan. I didn't like having no house prospects. There was nothing on the market at all. So I decided to put something on Facebook. There are local buy/sell/trade pages, and I put up an ISO post stating what we were looking for. We received several responses, and one in particular that we were interested in looking at. Several days later, we got a personal tour from the owner, and we loved it. 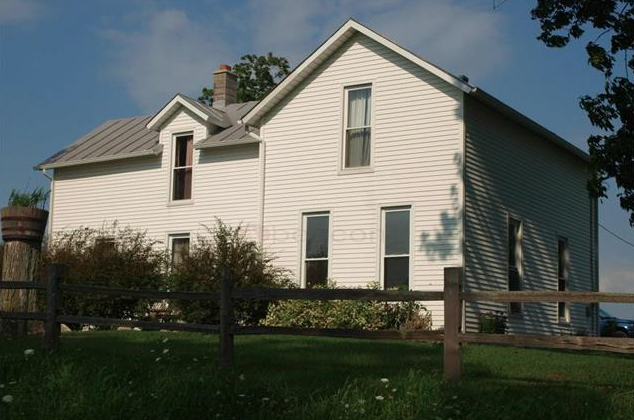 Big white farmhouse, an old bank barn, tall windows, tall ceilings, a wood stove, a master bathroom, old charm mixed in with creative updates, 2400 sq ft, and 2 acres. Other than wishing for a few more acres, it was a near perfect house. We settled on a number with the owner and started writing up the contract. He even had two donkeys that he was throwing in with the property because he couldn't take them with him. And then he kept changing things. And being wishy washy. And requesting unrealistic things. Eventually it became apparent (and he admitted) that he just wasn't really ready to sell yet. We were bummed. I was incredibly bummed. I really loved this house. And I had imagined my whole life in this house. So a closed door was a huge let-down. But, of course.... with God, all closed doors are for a reason. I knew in the depths of my heart that the Lord had something better for us. I couldn't see what it was, and I didn't like that... but after a night of deep worship with the Lord, I renewed my trust in him and geared up to wait. To wait for the perfect farmhouse. In his perfect timing.